That’s right. You buy it and we will set it up for you. No further action on your part is needed! Not all fans are created equal and if you have ever read instructions for ceiling fan installation than you may be aware of just how time-consuming it can be. Fortunately, DMS Electric, has done many ceiling fan installations over the years across a wide variety of brands and styles. We will offer suggestions of where your fan should be installed for both appeal and efficiency. In addition, it is our job to ensure that the fan has enough support and won’t wobble over or worse yet fall off! Ceiling fans can be a great way to move air throughout your home. Obviously, in the summer and spring, they are vital to cooling down rooms. They are just as important during the colder months as they can efficiently circulate warm air and lessen the burden on your heating unit. 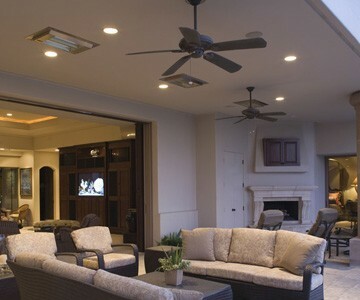 Exhaust fans, also known as vent fans, play a vital role in moisture control throughout your home. Most commonly seen in bathrooms they help prevent mold occurring while also sucking up steam which over time can cause damage to your walls. 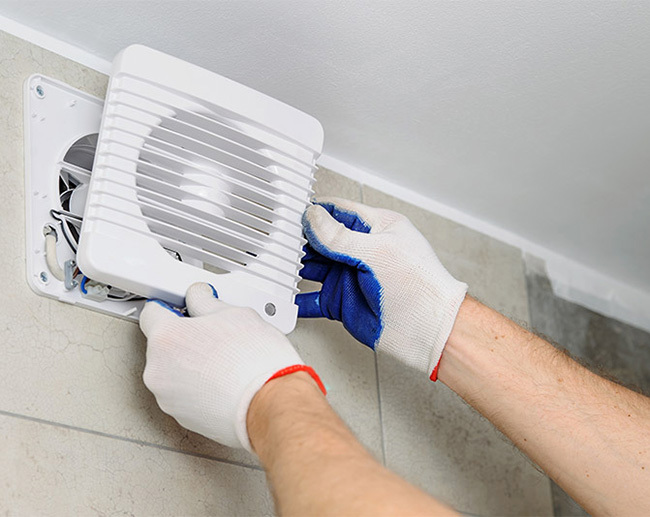 If you are replacing an exhaust fan, the process is simple and DMS Electric can quickly swap out the old fan for a new one. If you need an exhaust fan installed than you’ll need to have ductwork installed along with it. Similar to how air conditioning is set up. You’ll also have to make a choice. You can have a stand-alone fan or a combination of sorts. There are combinations of; a fan and light fixture, a fan and a heater, or all 3 components in one. No matter which one you decide upon it is a worthy investment. Having to deal with mold can get pretty costly and a nice exhaust fan will give an increase in value to your home. Professional ceiling fan installation or exhaust fan installation is just a phone call away at (215) 837-7959. We offer free in-home estimates to residents in the Philadelphia city limit.